When you start to shop for a mobile panic button technology that you can install in your facility for your employees, you will quickly discover that there are many different options on the market. It can be confusing to sort through the various features, options, prices, and functionalities of these systems. In this blog from our mobile panic button company, we’d like to explore some of the different choices available to you, and go over some of the advantages and drawbacks of each one. It’s getting more common to see wireless panic button technologies that depend on a wifi signal to transmit the message. However, wifi is not the only way to accomplish this task. Radio signals and ultrasonic signals also can communicate with a receiver and trigger an alert. Ultrasonic: Signal doesn’t pass through walls or floors; provides the location with pinpoint accuracy. Securalert uses radio or ultrasonic signals, or a hybrid of both, depending on the system you choose. Someone presses the button on their personal panic button transmitter. That button sends a signal to the nearby receiver. The receiver, in turn, sends a signal to the main control unit. If this is where the story stops, you have a one-way system. Is there really any need for the main controller to send a signal back to the receiver to confirm that the signal has been received? Yes, for many reasons. For instance, the person who pressed the panic button in that room will know that their signal has been sent successfully. There are many other security benefits of having a two-way system. One-way system: Signals can be sent from the panic buttons but not received back. Two-way system: Signals can be sent back and forth between components. Securalert’s system offers you two-way communication. When you have a system that is hard-wired into your facility, each component is connected to the electricity. A battery-powered system, on the other hand, has each component running on its individual power source. Hard-Wired System: Costly and time-consuming to install; difficult to take components with you if you move to a new facility. Battery-Powered Systems: Quick and inexpensive to install; can move to another building if needed; must replace batteries every 5 years or so, but not all units display a low-battery alert. Securalert’s transmitters and receivers are battery-powered. When you implement panic button technology, you can’t forget about the panic button itself. These portable pendants are what your employees will carry as they go about their shift. However, just like the pen at the cash register that people use to sign their credit card receipts, these pendants have a way of “walking off” as people forget to turn them back in at the end of the day. This represents a cost to the company of continually having to buy more pendants. Generic pendants: There’s no way to track who has which one, resulting in more loss. Individually-assigned pendants: Each person picks up a pendant with a unique ID so that if that one goes missing, you can track who had it last and hopefully recover it. Securalert uses individual, unique pendants. In addition, our pendants will vibrate once they have left the network, signaling to the user that they should go back and return it. 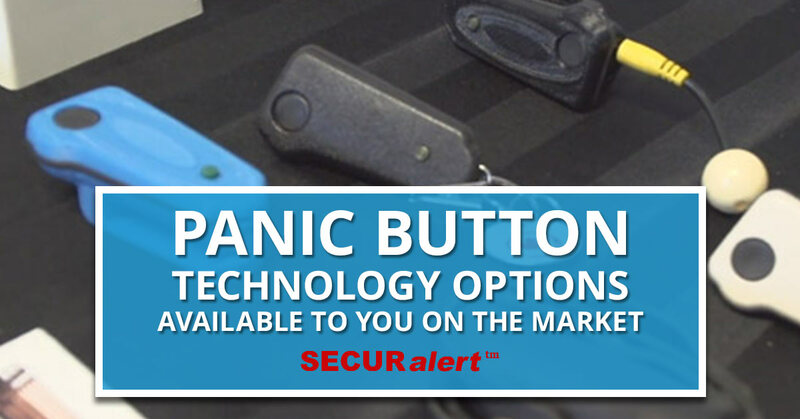 Utilizing Securalert’s mobile panic button technology is a great way for you to protect your staff and respond effectively to incidents. It’s easy to get started. Simply fill out our online form or call us. We look forward to serving you.